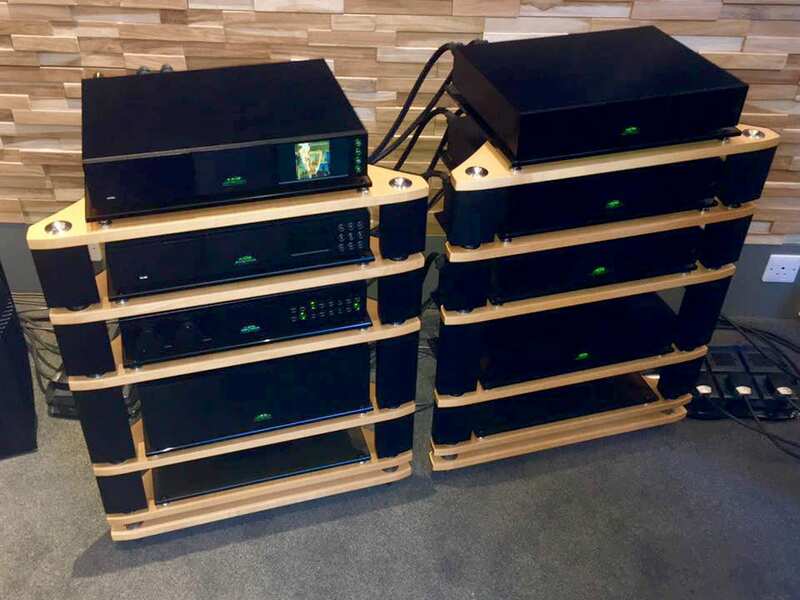 The long awaited Naim ND 555 network player is almost with us. We hope to have our demonstration unit in early July. Well, ‘hope spring’ as they say . 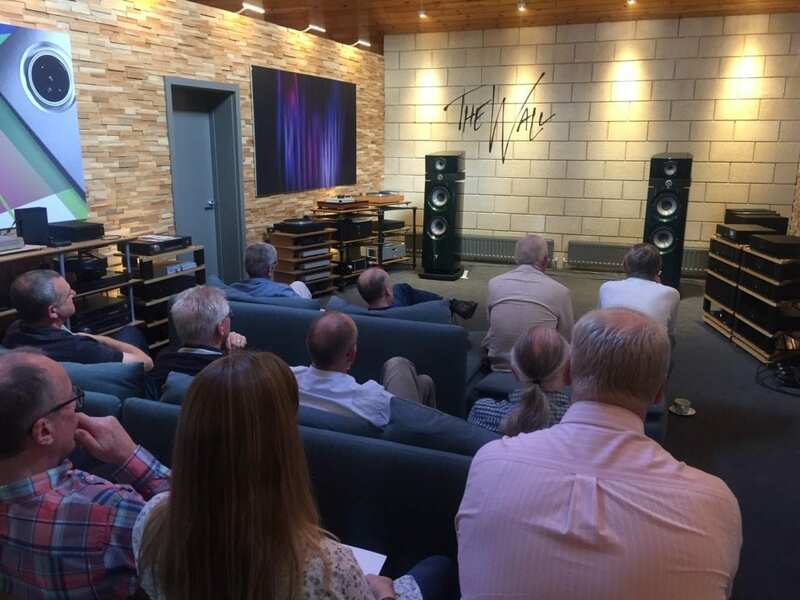 . .
We now have a fair idea of what to expect, having had our Naim ND 555 preview / launch event. Only the second in the UK on 14th June. The outgoing NDS player was there too and the system used was ‘full’ 500 series comprising 552 preamplifier and 500 power. Both ND555 and NDS were powered by a single 555PS power supply. All mounted on fraim and connected together with SuperLumina cabling. Music was fed via the local network from a Naim Core. 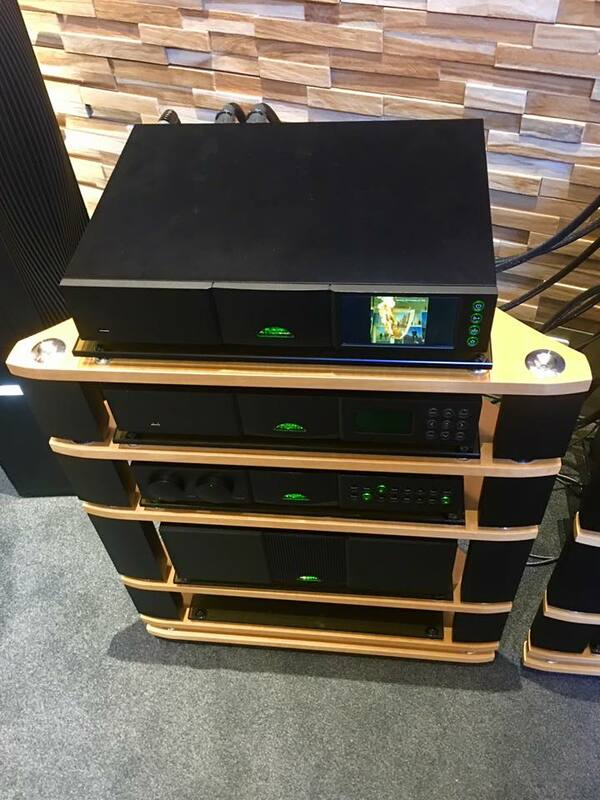 The speakers used were Focal Maestro Utopia EVO, part of the new Naim-centric Focal range and they were used partly to give greater scale in our unusually tall (7m to apex) largish main room. There was an ulterior motive in that we were keen to gather some listener opinions. We’re trying to find a suitably ‘epic’ loudspeaker to sit with the decidedly serious Naim Statement electronics. 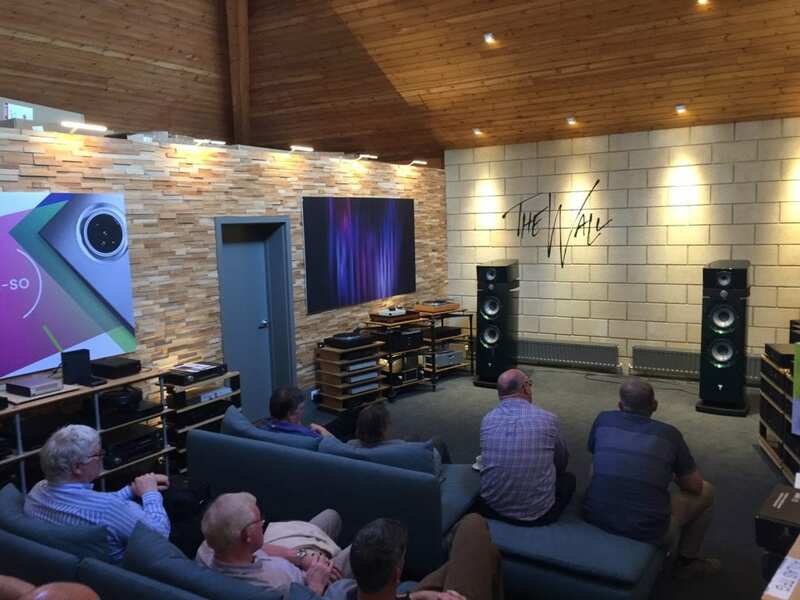 Mike Heath and Jason Gould from Naim were in attendance with Jason running the demonstration. Huge thanks to them for their sterling efforts. Whatever people’s opinion of the Focals, I think it’s fair to say that they let us hear the differences between NDS and ND555 with great clarity. This was probably easier for us than most visitors, given that the character of our room has to be absorbed first. Jason played a few tracks on the NDS at the beginning of each session to allow the listeners to attune to the environment. Tellingly, a number of listeners reported that the ND555’s gains only became truly evident to them when they started playing familiar music. With a very high proportion of the (50) booked visitors actually making it along, it was a fairly busy night with listening spread over three sessions. We had arranged for an earlier than billed start time to relieve some of pressure but it’s fair to say that it was a little bit of a crush. Many thanks to all who came for making the journey and handling the highish temperatures. Did we take any photographs? . . . Nope. 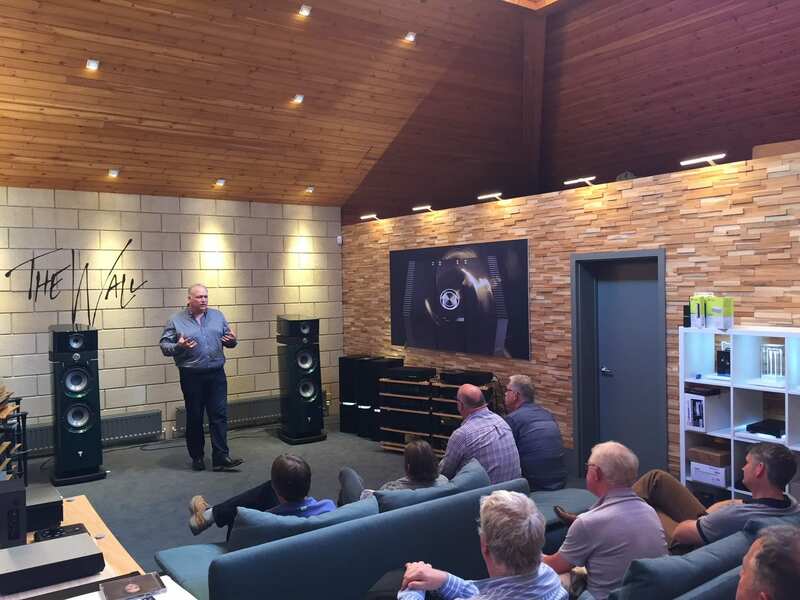 Thanks to customer Gregg Gibbs and Mike Heath from Naim for taking some shots which was have here. As for the show’s star, the ND 555, there’s no question that it represents serious progress over the NDS. Almost certainly, too, over the CD 555, although the usual caveats over music server and network quality apply. If you can cope with the simile, the ND 555 manages to keep all the plates spinning and balls juggling in circumstances where the NDS would have lost focus and control. It’s more musical, more clearly structured and tonally richer, giving a far more persuasive version of the musical event. It’s also bigger, deeper, more hear-though. All the standard hifi descriptive stalwarts. If you are looking at digital replay at this level, it has to be on the list.